I'm thrilled to finally be offering a HOLIDAY collection in my Etsy Shop! If you've ordered invitations with me before, or you've read my Etsy Reviews, then you know Whirligigs Party Co. printing services are amazing. Before Etsy, I worked in the printing industry, so I look for excellence in print quality. And I am so grateful to work with a local Oregon City printer who is always on point with quality. Truly, the best printer I've ever worked with! 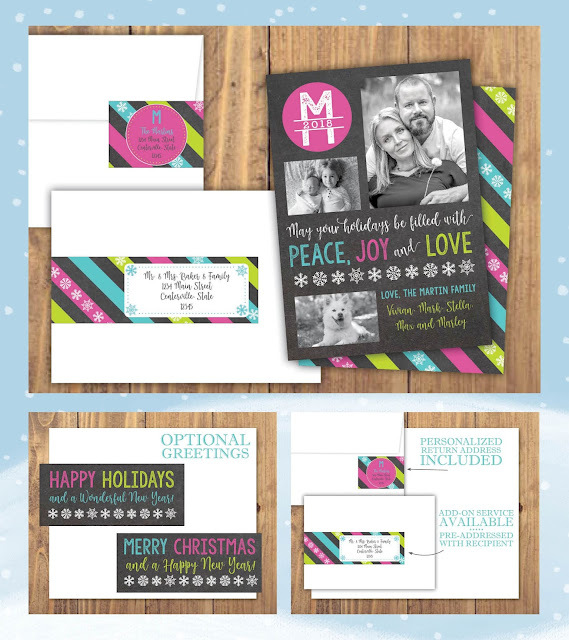 Because of this commitment to a beautiful product, I'm super excited to extend my offerings to the Holiday Card industry this year. 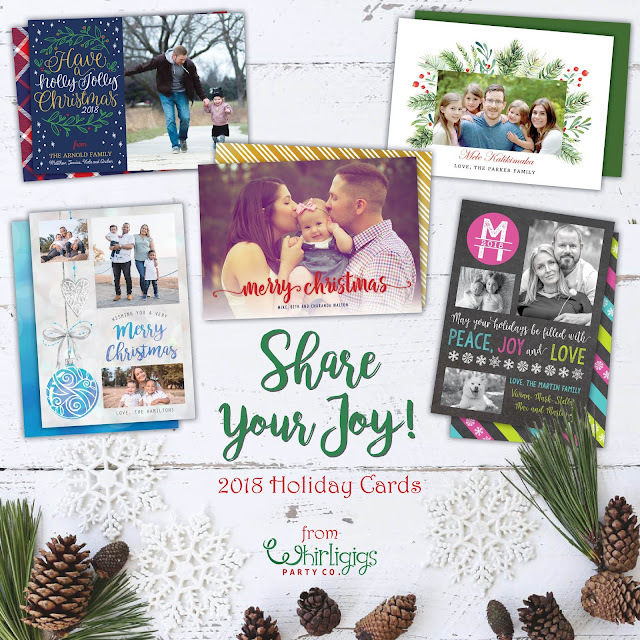 Sharing the joy of your family photos with distinct, elegant, and quality Holiday and Christmas Cards. Your photos will look great showcased on the thick gloss cover stock. It is considered a gloss paper, but it has some matte qualities - and it doesn't catch fingerprints easily! 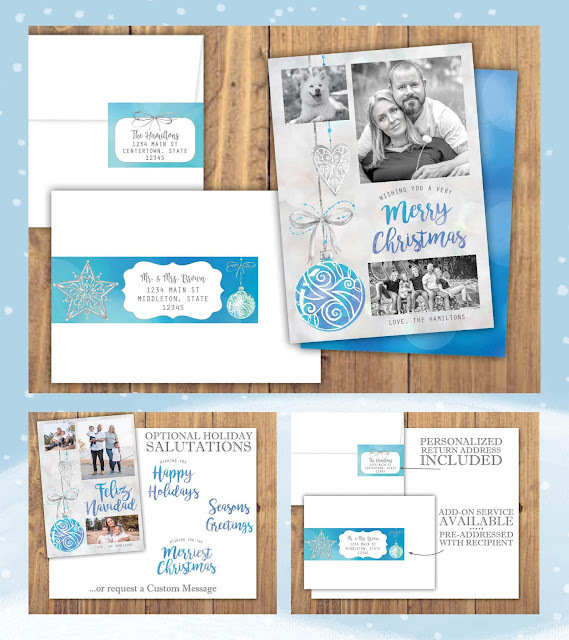 Each design features your family photographs on the front, but if you have more memories to share, you can select another cluster of photographs on the backside too. Or even add a note of text - just let me know how you'd like your custom cards to be. 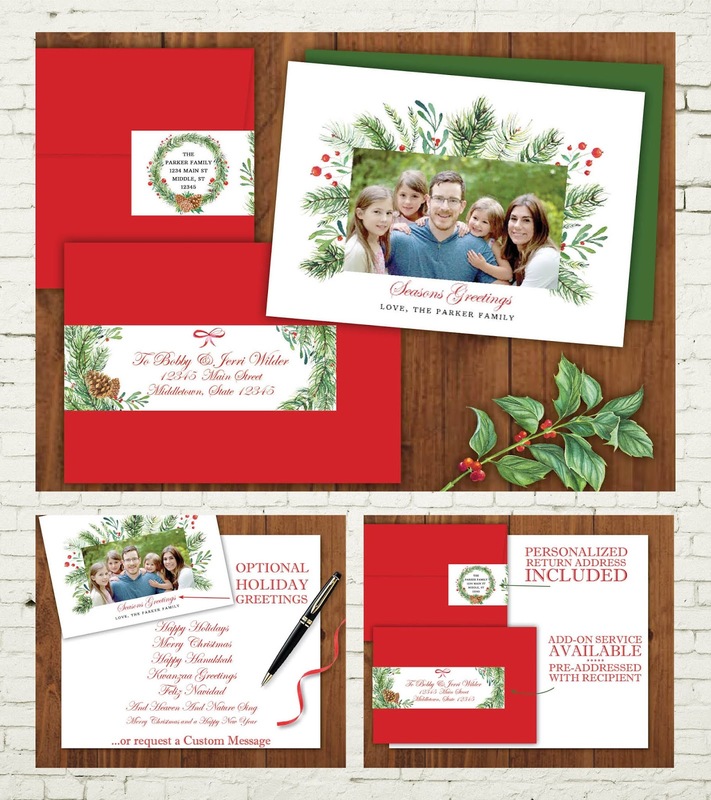 Each holiday card design is double-sided with a coordinating pattern on the back. 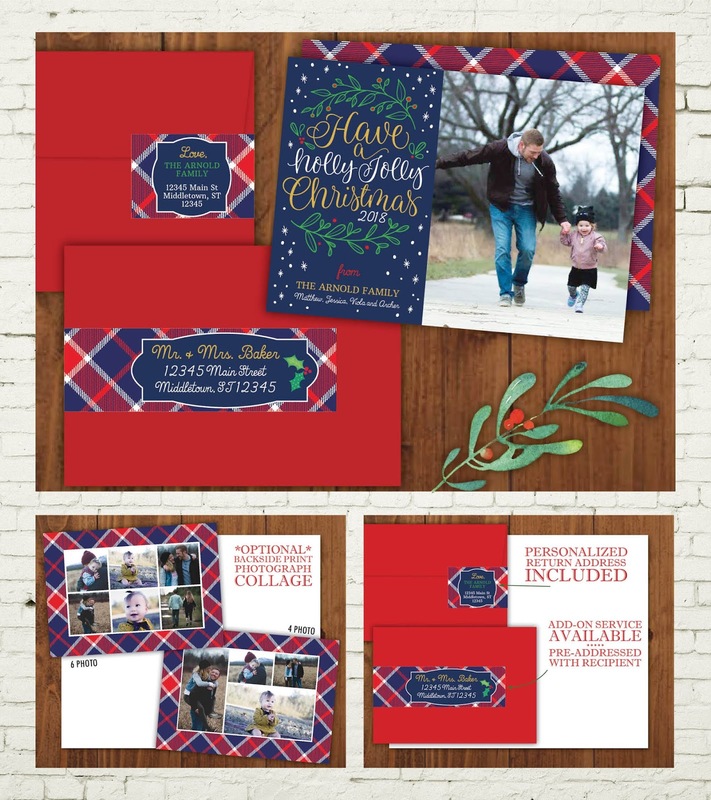 You will receive envelopes in red or white, and a special wrap-around address label for a sophisticated and unique finishing touch. The address label comes in a precut strip, with your return address printed. 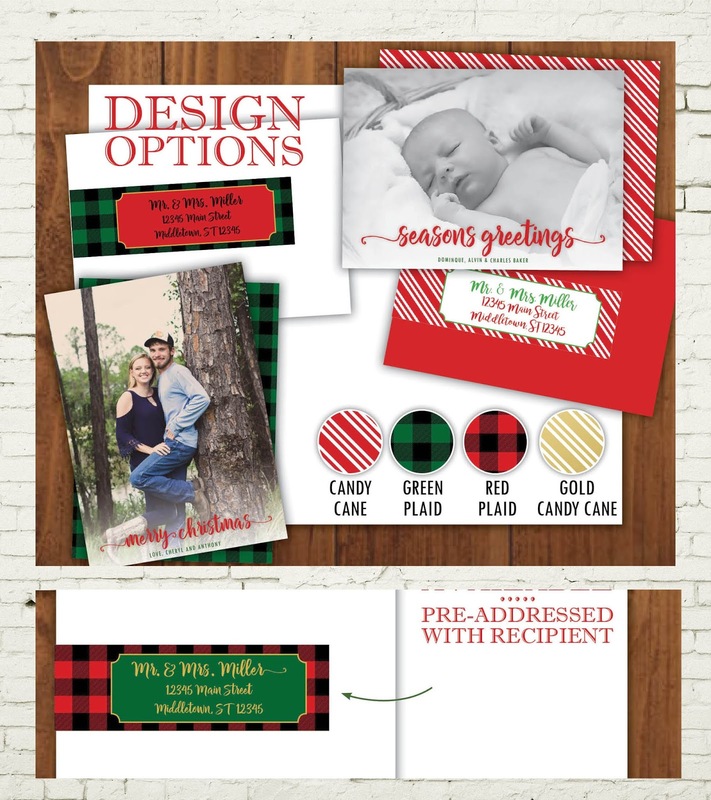 You can choose to write in the addresses, or I also offer an addressing service where the recipient addresses will come printed and ready to mail. Save time, and look professional! 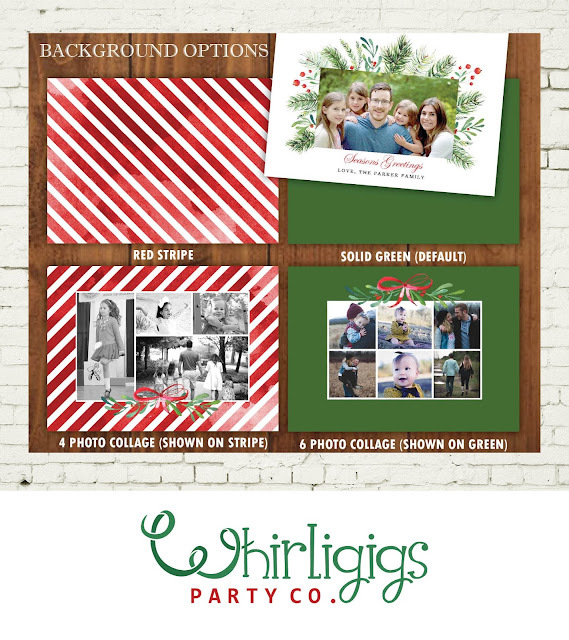 Whirligigs Party Co. offers quick turn around time, so you can get your Holiday Cards in the mail soon! 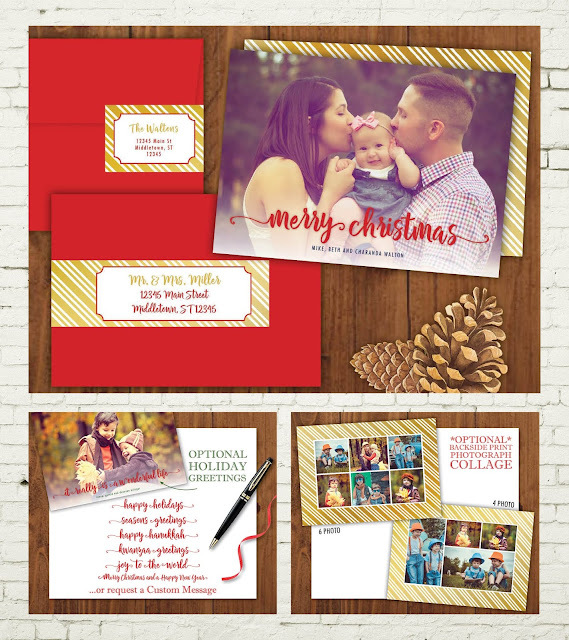 Just place your order and email over your photographs, wording, and addresses﻿. Within 36 hours, you will receive a digital proof to approve. Once approved, your Holiday Cards ship Priority Mail within 4 business days. May you have an amazing holiday season filled with peace and joy!